A new trailer for Sonic’s upcoming adventure Sonic Lost World was featured in this afternoon’s Nintendo Direct and if you missed it and don’t fancy watching it, we have the trailer for you above to catch up on. Those of you who have been keeping up with the news thus far will find nothing new outside of some new gameplay footage, but fans of SEGA’s occasional cheesey marketing humour will definitely enjoy the video. Sonic Lost World will be released on Wii U and Nintendo 3DS in Europe October 18th, in Australia October 19th and in the US October 29th. 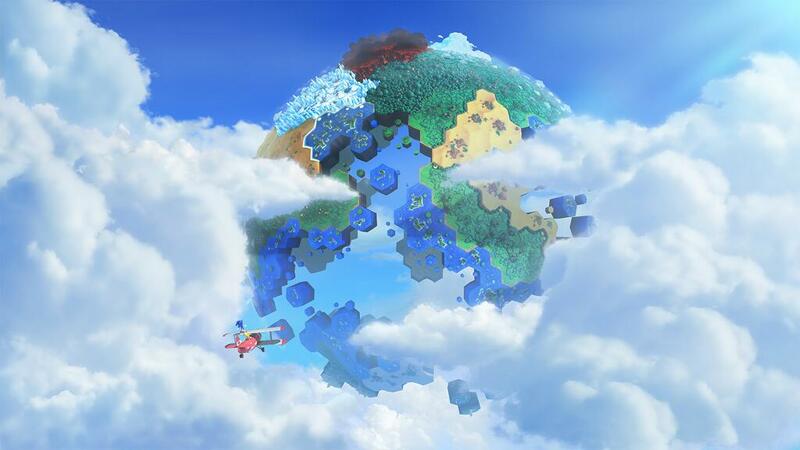 Todays Nintendo Direct just finished and it contained one or two suprises for fans of Sonic Lost World. The first big suprise was a look at the Wii U version of the game which also included a cut scene from the game showing the Deadly Six turning against Eggman and… well… I won’t spoil it for you. As well as some new segments of gameplay. In addition to this, the 3DS version was also shown and more insight was given on how the two games will link up. Tails can created ‘toys’ which can be sent to the Wii U version of the game. The second player can then use them to help the player controlling Sonic on his way. In the example shown, an RC Helicopter was used to collect rings. Thanks to Autosaver for handing me the vids.